The three major stock indexes of A-shares opened higher and closed lower, and the Shanghai stock index lost 3200 points. After watching, you can view it in the personalized recommendation - settings on the right. [Closed broadcast] Eastern Fortune Network on the 15th, the three major stock indexes of A shares today opened higher and lower, closing down across the board, the Shanghai Composite Index 3200 points lost. Specifically, the Shanghai Composite Index closed down 0.34% to close at 3177.79 points; the Shenzhen Component Index fell 0.78% to close at 10053.76 points; the ChiNext Index fell 1.70% to close at 1666.90 points. The total turnover of the two cities was 775.8 billion yuan, and the industry sector rose more and more. The three major stock indexes of A-shares opened higher and lower today, and the market closed down.Shanghai indexThe 3200-point integer mark was lost. Specifically, the Shanghai Composite Index closed down 0.34% to close at 3177.79 points; the Shenzhen Component Index fell 0.78% to close at 10053.76 points;GEMIt fell 1.70% to close at 1666.90. The total turnover of the two cities was 775.8 billion yuan, and the industry sector rose more and more. 1,Vice President of the Central Bank: China's stock market is showing signs of bottoming out and recovery. The potential for foreign portfolio investment flows is rising. 2,40 scientific and technological enterprises have been inquired. Portrait of investors: account holders have more than half of stocks for more than ten years. 3,"Social bottom" is here! The second quarter of the bull market opened? The latest view of 8 major brokers such as CITIC: The market style has changed. 6,Three questions MSCI postponed index conversion: Why do you want to index conversion? Why should you postpone the conversion? What is the impact? Looking forward to the market outlook, Beijing Xingshi Investment pointed out that the financial data in March exceeded the market expectations on a large scale, and the “credit bottom” was confirmed. Based on past experience and other recent economic data, the probability of China's economy gradually bottomed out in the second quarter. In addition, the formal implementation of tax reduction and fee reduction may lead to the emergence of “profit bottom” before “economic bottom”: according to historical experience, the “profit bottom” and “economic bottom” of enterprises are basically synchronized, but this round of profit down cycle Among them, the more unexpected tax reduction and fee reduction policies are all concentrated in the second quarter, which may make the “profit bottom” appear before the “economic bottom”. The CITIC Jiantou strategy team said that in the second week of April, after the chemical sector rose sharply and the market approached 3,300 points, the market entered a short adjustment period. This is mainly due to the continued easing of credit.currencyDemand, but the central bank’s suspension of open market operations has slightly raised the risk-freeinterest rate,causedinterest rateTranslation of the risk structure. This short-term adjustment constitutes an excellent opportunity for jiacang in the second phase of our bull market. CITIC Securities latestResearch reportIt is pointed out that on the one hand, the domestic macro data is hot, and in the environment of high “temperature” in the market, it will strengthen the market sentiment that the market will bottom out in advance, thus bringing a short-term pulse-type rise of A shares. On the other hand, overseas factors are cold, and the external risks accumulated gradually deserve more attention. The fermentation of the above-mentioned risk events will continue to suppress risk appetite. The trend of foreign capital outflows will be difficult to reverse in the short term, and the risk of Sino-US stock market resonance will gradually increase. April is the upward period of overseas disturbance factors. It still takes time for the fundamental risks to clear. Under the rebalancing of monetary policy, liquidity will become stronger and stronger. CITIC Securities maintained its preliminary judgment. A-shares will have the best buying point in the second round of this year in April, but they will have to wait until late. Guotai Junan issued a statement saying that the main market of the follow-up market should be switched from a fund-driven hotspot to a valuation of fundamental support, in fact, the market in the near future.PerformanceThe sectors with outstanding performance in the report performed well and have initially shown that the market has increased its emphasis on profitability. Under this logic, it continues to recommend the periodic section. Positive changes in the early cycle of the meso level have already occurred. The steady growth expectation is superimposed on low valuation factors, and the cyclical sector will have obvious performances, such as building materials, steel, real estate and other industries. Secondly, with the release of fundamentals and pessimistic expectations, the benefits of technology innovation policy dividends, science and technology board radiation and social financing have exceeded expectations, market risk appetite continues to be repaired, ubiquitous in power Internet of Things, 5G, intelligent networked cars, state-owned enterprise reform, etc. The concept section will usher in performance opportunities. Zhongyuan Securities is relatively cautious, and believes that this week's market will continue to be in the adjustment stage, but it is coming to an end. In the environment where the performance of the GEM is gradually bottoming out and the risk premium is declining, small and medium-sized producers are expected to improve, and consumer stocks and banking stocks have led the market to pick up. It is recommended that the position can be controlled at around 50% in the short term, and the bank will continue to pay attention to the bank in the short term.Broker, consumption and regional construction sectors; the mid-line continues to focus on the financial, consumer blue-chip and communications sectors; the long-term continues to recommend attention to the growth value sector and hot industry leaders. In terms of industry configuration, Huatai Securities Strategy said that in March, economic data recovered + the total amount of social resources exceeded expectations and the structure improved, and corporate earnings expectations may be further improved. In addition, a major variable that cannot be ignored in the near future is the expected warming of the mixed reform of state-owned enterprises. The return of the stock market valuation to the historical center is the basis for the implementation of the mixed reform of state-owned enterprises, and the implementation of the mixed reform will further reduce the risk premium and promote the valuation. We expect the market to continue the style of the broader market since April, the industry configuration fromCreditThe total amount and structure of the social welfare focus on banking stocks + consumer stocks, and the theme recommends the reform of state-owned enterprises and the Yangtze River Delta. 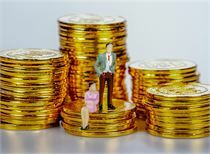 According to the strategy of Zhongtai Securities, the social welfare data in March exceeded expectations, and we continued to see a rebound in the short term. In April, we were still active. More market industry and style performance will be driven by fundamental factors, and more inclined to grow the industry's top quality prospects. In April, the performance of the over-expected sector, cycle, blue chip and part of the growth technology leader White Horse. The annual industry allocation recommendations are as follows: TMT (electronics, communications, computers), machinery (industrial automation), medicine (innovative medicine and medical equipment localization), utilities (nuclear power), power equipment new energy (fuel battery, energy Internet) , national defense military (independent innovation in the aerospace field), basic chemicals (new materials related to the above fields). GF Securities Strategy stated that the financial supply side continues to slow down. The core contradiction of A-shares at the current stage is the molecular end. The economic and financial data in March will help the market to gradually increase the profit forecast of the formerly more pessimistic economic growth enterprises, and the cycle will continue to increase. . At the beginning of the M1-M2 bottom-up, it is recommended to pay attention to construction machinery, heavy trucks, liquor, and home appliances. In addition, non-ferrous (basic metals, industrial metals) and chemicals (PVC, soda ash, polyester, MDI, etc.) ushered in the opportunity to make up. The theme investment focuses on the mixed reform of state-owned enterprises, old-age services, and the integration of the Yangtze River Delta. Essence Securities Strategy stated that considering the current overall environment, it is expected that the market will still be inertial in the short-term, but since the medium-term trend is not clear after the short-term rebound, the loose expectations of monetary policy may be limited in stages, and then the probability will be The new platform maintains a volatile pattern. Considering a quarterly report, economic and financial data and expectations, market performance, and incremental funds, it is believed that in the current environment, the value of the blue-chip stocks with smaller gains in the previous period will have a round of upswing, which may cause the index to rise, but most stocks make money. A situation with limited effects. In general, the industry focuses on cyclical products, real estate, and banks. The theme focuses on the reform of state-owned enterprises, the Belt and Road Initiative, the Shanghai Free Trade Zone, and the integration of the Yangtze River Delta. Jiantou strategy: credit easing is gradual, and the bull market is getting better in April. Haitong Securities: The real estate era has passed. Investment in the stock market is the investment in the national economy. Investment strategy: A shares will see a higher high than in 2015 in 2021. Please download Oriental Fortune products to view real-time quotes and more data. Institutional market: leading stocks, huge earthquakes hidden secrets What kind of signal is released by the Shanghai Fingers? Tianfeng Securities: May adjust to the end of April to May. Growth stocks in June will welcome the second wave of opportunities throughout the year. The impact of 4 trillion big news is coming! The regulation has just been clear: funds that can invest in A shares can buy a board! "4·19 Charms" is approaching. Are you afraid this year? Never thought! This plate is the biggest hot spot in the year. The biggest black horse is it. April 18th Transaction Unit Comments: Behind the Industrial Fulian "Frozen Board"
The success or failure of the seal is in sight. Thursday: Lao Lin hotspot captures strong stocks "Midday"
The index quickly chooses to break through! Is the A-share 4:19 spell really terrible? Can you drop the second demon on Friday? The increase in the occupational annuity market will bring about 100 billion yuan of incremental funds. Overnight trading: The pharmaceutical health insurance sector dragged down the US stock market. The gold price fell for three consecutive days and continued to hit a new low in the year. After 18 days of silence, the central bank finally released, releasing important signals! Hegang property market shocked the "cabbage price", what is it? The world's first atomic precision full-carbon electronic device is available. good news! 5G communication technology has made another major breakthrough. 5G market broke out, don't ignore this white horse stock! [fund] The fund's quarterly report is released, and the layout prefers the industry leader. [global] When the market is getting better, "smart money" is doing more volatility. [US stocks] The Dow rose more than 100 points. Microsoft recorded a record high. [gold] The price of gold fell for four days and fell 1.5% this week. Is the iron ore long cold? Why is the bond market? The field of fine wealth: the small class of science and technology board - all remember that the science and technology board is playing new, there is a big pit inside, do you know? Jing Cai Vision: Is there an official indicator for the monitoring of the trend of “high equity pledge stocks”? 2019 Boao Forum for AsiaAchieving a win-win situation with communion “The Voice of Boao” focuses on global concerns. Solemnly declare:Oriental Fortune.com publishes this information in order to disseminate more information and has nothing to do with the position of this website. Oriental Fortune Network does not guarantee the accuracy, authenticity, completeness, validity, timeliness, originality, etc. of all or part of this information (including but not limited to text, data and graphics). The relevant information has not been confirmed by this website, and does not constitute any investment advice for you. According to this operation, the risk is at your own risk.